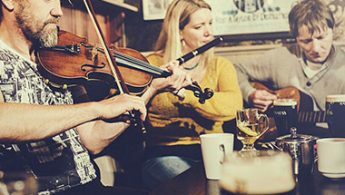 Want to Experience an Authentic Irish Pub Session? 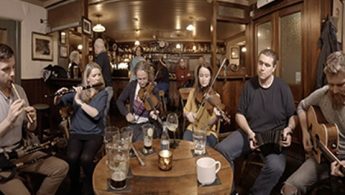 It is not always possible to experience an authentic traditional Irish music session first hand; that’s why we created our very own Virtual Reality Irish music pub sessions to share this unique magic of Ireland with a global audience. Our Authentic Irish Pub Sessions were recorded in Cooley’s Pub, Ennistymon and McHugh’s Pub, Liscannor, both in County Clare, only minutes away from the Cliffs of Moher on the Wild Atlantic Way. They are a joy for the Irish music lover and, in keeping with tradition, a powerful supplement to the Irish music learner’s journey. The only way to learn the intricacies of the ornamentation and style unique to Irish music is to be in the company of master musicians. With our Virtual Reality Sessions you get to do so, with the added bonus of pausing and replaying to suit your learning speed—a feature not possible from the ‘live’ experience! We have over 57 sets available to view—all included for paid subscribers. The beauty of 360 degree video footage – which is really what Virtual Reality is – means that you can ‘mouse-over’ the video, then click, hold and drag the mouse around to view the whole pub! It’s like holding the video camera in your own hand and choosing what you want to focus on while you listen to some of the best traditional Irish music you’ve ever heard. Scroll down to experience two sample sets on us!